Cambodia Golf & Country Club nicknamed the ‘Sugar Palm Course’ had the honour in 1997 of being the first golf course to open in Cambodia. The course offers the lowest priced green fee for 18 holes in Cambodia. Whilst it is fair to say that the condition and maintenance of the course isn’t to the high standards of the prestige courses in Phnom Penh it can nonetheless boast a serene and peaceful setting, and worth considering the 45 minute journey west of the city center. The golf course is very ‘Cambodge’, plentiful in palm trees, native fruit and evergreen plants. The front nine is relatively flat, with wide fairways, and a focus on strategic bunker placement. Whilst on the back nine the fairways become longer and water comes into play more. Correct club selection throughout your round will be rewarded. By accepting the course was constructed in an era that Cambodia was experiencing difficult times you become to appreciate the environment and enjoy your stroll in the fresh air away from the busy city. 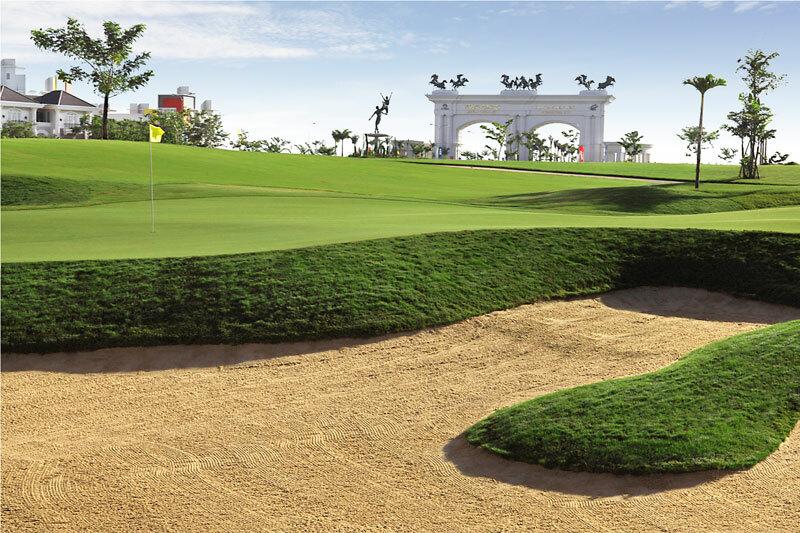 City Golf Cambodia is an impressive golf destination close to the centre of Phnom Penh. Comprising a two-tier driving range, chipping green, putting green and a very interesting par 3 nine hole golf course. In 2010 Cambodia was introduced to its first par 3 golf course. This enabled people who had never experienced golf to play for the first time at an affordable price. Plus with the two-tier driving range available golfers of all abilities now had an excellent practice facility. 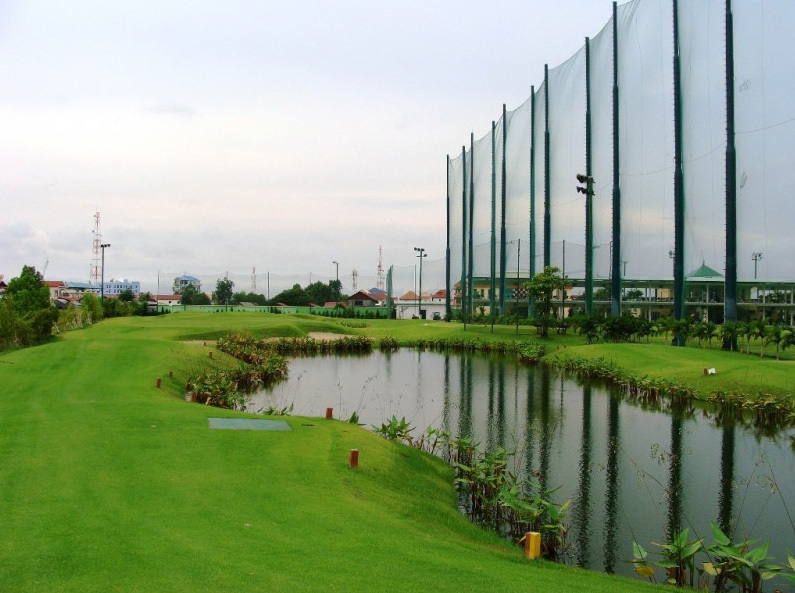 City Golf Cambodia would be an attractive golf centre in any major city but to be located in Phnom Penh shows how popular golf has become in this developing country. The facility is extremely well managed and presented. So if you are a keen golfer wanting to improve your game or a novice and wishing to learn to play then we highly recommend a visit. Furthermore, you can also satisfy your golf addiction by playing even when the sun goes down as City Golf Cambodia has floodlights. 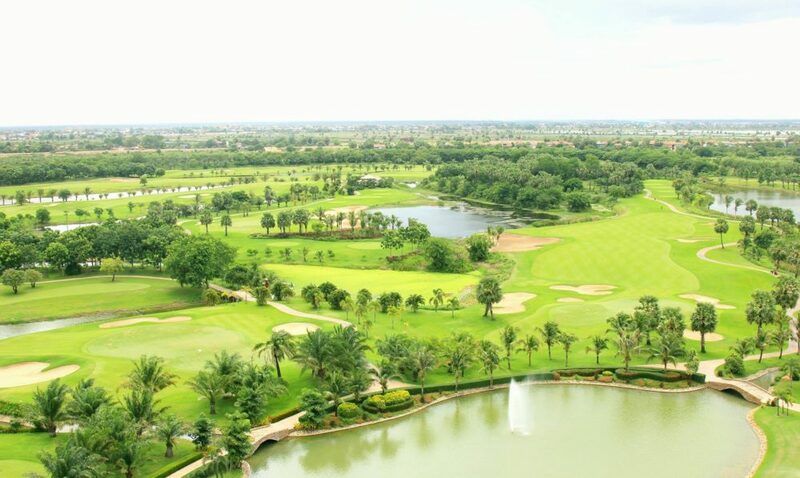 Opened in 2013 Garden City Golf Club instantly became one of the best golf courses in Phnom Penh, and comparable with the excellent courses in Siem Reap. In fact the designer, Major General Weerayudth Phetbuasak, was the architect responsible for the established Phokeethra Country Club. The course was built on featureless rice paddy fields. But extensive work to develop and reshape the course incorporating mounds and water hazards has resulted in an eye-catching layout. The championship length of 7,361 yards from the black tees may be daunting to many players, but thankfully the designers have included a further four tees to enable golfers of all abilities to enjoy a game here. A course length of 5,349 yards is available from the red tees. There are many great holes on this resort styled course. Most notably is the par 4 sixth hole, with water protecting the left side and a lake to the right of the green, a par at this hole is an accomplished achievement. In 2011 when Grand Phnom Penh Golf Club opened a welcome addition to the golf scene in Phnom Penh had arrived. It was the first true international standard course in the city. The course originally built on flat land has been wonderfully transformed by Nicklaus Design. Generous from the tee but challenging around the greens, the true test is provided when the wind blows as the course is quite exposed. Always presented in excellent condition and a credit to the designers. It is highly recommended a visit if you are travelling to Phnom Penh. For many years Royal Cambodia Phnom Penh Golf Club was the most popular course in Phnom Penh due to its location and affordable green fees. 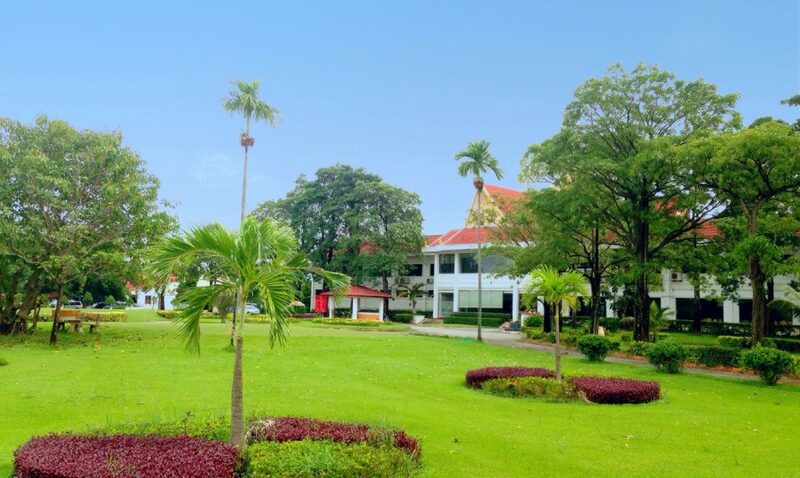 But since international standard courses such as Grand Phnom Penh and Garden City Golf Club have opened its popularity has diminished a little. The advantage is that it is nearly always possible to secure a tee-time at this reasonably priced facility. Presented in a similar condition to Cambodia Golf & Country Club with an emphasis on preserving the environment and nurturing the local fauna and habitat. Set in mature wetlands with an abundance of local plants and palm tress you will soon forget that you are so close to the expanding city. Four tees per hole and large undulating greens will test golfers of all skill levels.